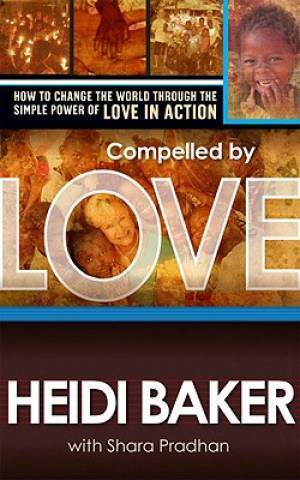 Compelled by Love by Heidi Baker– This book made me want to sell everything and move to Africa and love on little children. Heidi Baker portrays her heart in helping the children because she is compelled by love. This book moved my heart in compassion and love towards those less fortunate. AND it moved my heart to want to walk in the Spirit like she does. The faith that she has, the power that the Lord is pouring out over there. Read this book, it is incredible and easy to read too! No Compromise by Melody Green– Oh my goodness. I just read this book about 2 weeks ago. It is AMAZING! This book is about the life and story of Keith Green. This man was a powerful musician and evangelist and discipler. My life is changed because of what God did in this man. He was not ok with compromising Christianity. He was not ok with those who called themselves Christians but never lived like it. This is my hearts cry, so I really connected with this story. It is a must read!!!! I will probably post a whole post on Keith Green sometime. Let us Pray by Watchman Nee– I’ve been praying and asking God to really make me an intercessor. So I picked this book up off of the shelf at the house where I am staying. Its a great little book, with some PROFOUND revelation on prayer. It has helped me get a better grasp on prayer and what is really going on. If you are at all interested in prayer (which you should be if you are a Christian…I’m just saying) then pick up a copy of this book! It is a great training tool for prayer. Christian Perfection by Fenelon- I haven’t read this entire book yet, only because my wonderful friend Wesley, has a copy of it, and is reading it and every time he reads something that is amazing he gets me to read it and it blows me away! I also have not bought this book because it is an old book and trying to get it costs quite a bit. But I will do my searching and shopping in used bookstores so as to get the best value. 🙂 YOU SHOULD READ THIS BOOK! Passion for Jesus by Mike Bickle- This was the first book that I read where I felt like someone else in the world understood my hunger for more of God. And it encouraged me that I could actually have more. This book helped bring understanding to me about Intimacy with Jesus. Humility by Andrew Murray– We are all in desperate need of humility! This is a lifestyle that Jesus promoted over and over again in the Sermon on the Mount and the gospels. This book has so much insight into humility and what it looks like to be lived out! The Knowledge of the Holy by A.W. Tozer- I haven’t finished this book, but what I did read blew my mind away! This book talks about how important it is to really know God. Not just be ok with the image we have in our minds. Its amazing, check it out! The link I have above will let you read the book online for free! The Shack by William P. Young- This is a fiction story, but this will shift and change the way that you view the Father. Oh my goodness, it has rocked me! I can’t tell you exactly what it is about because it will ruin the story, but read it and you will come away with a better understanding of the Father and His love for you! The Bride by Rhonda Calhoun- An allegory on Song of Solomon. It is amazing and will put into perspective Jesus as your Bridegroom!